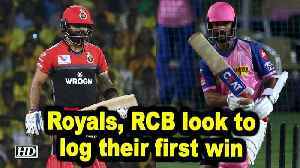 Having put his name in lights in Australia's record run-chase against India, Ashton Turner will soon link up with Steve Smith's Rajasthan Royals. 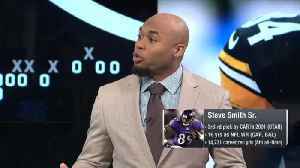 NFL Network's Steve Smith Sr. explains what the Arizona Cardinals can expect from outside linebacker Terrell Suggs. 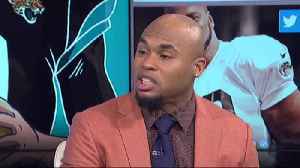 NFL Network's Steve Smith Sr. reacts to the Philadelphia Eagles' trade for wide receiver DeSean Jackson. 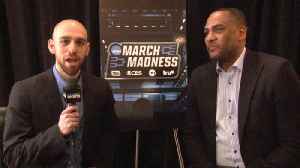 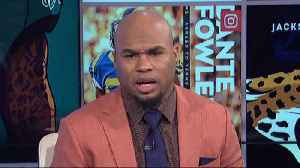 NFL Network's Steve Smith Sr. talks about the Oakland Raiders offense and how pressure is now on head coach Jon Gruden and quarterback Derek Carr, not wide receiver Antonio Brown. 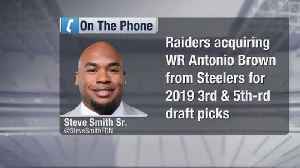 NFL Network's Steve Smith Sr. reacts to the Oakland Raiders' trade for wide receiver Antonio Brown and what it means for the Pittsburgh Steelers. 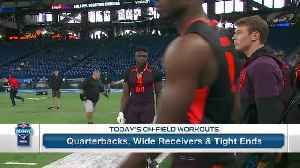 Watch NFL Network's Steve Smith Sr. tell Buffalo quarterback Tyree Jackson to stop throwing so hard in the wide receiver gauntlet.